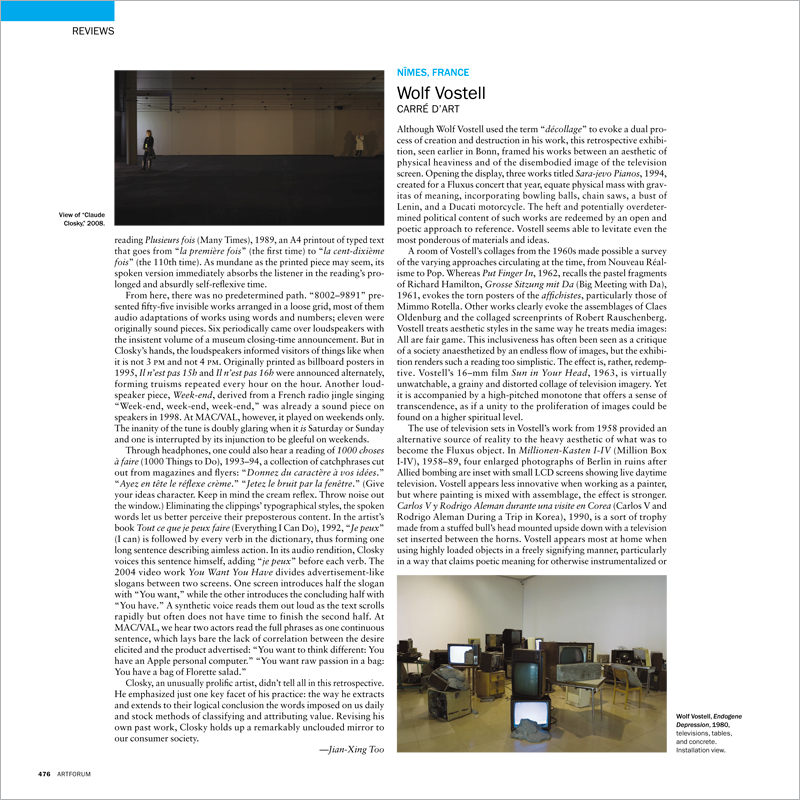 Although Wolf Vostell used the term “décollage” to evoke a dual process of creation and destruction in his work, this retrospective exhibition, seen earlier in Bonn, framed his works between an aesthetic of physical heaviness and of the disembodied image of the television screen. Opening the display, three works titled Sara-jevo Pianos, 1994, created for a Fluxus concert that year, equate physical mass with gravitas of meaning, incorporating bowling balls, chain saws, a bust of Lenin, and a Ducati motorcycle. The heft and potentially over-determined political content of such works are redeemed by an open and poetic approach to reference. Vostell seems able to levitate even the most ponderous of materials and ideas.